When it comes to dessert, who doesn’t want the three C’s? Convenience, comfort and creaminess make for some of the most epic frozen dessert experiences. For many of us, whether it’s personal dietary preferences, or other restrictions like allergies, ice cream is often off limits, or options are narrowed down for enjoying the three C’s. What if we told you that you can have your (metaphorical) cake, and eat it too? Well, today is your lucky day. These quick, healthier vegan banana splits have your name written all over them! We’re so excited to partner with Healthy Little Vittles to offer a delicious treat that is naturally gluten-free and vegan, and ready if 20 minutes (or even less!). 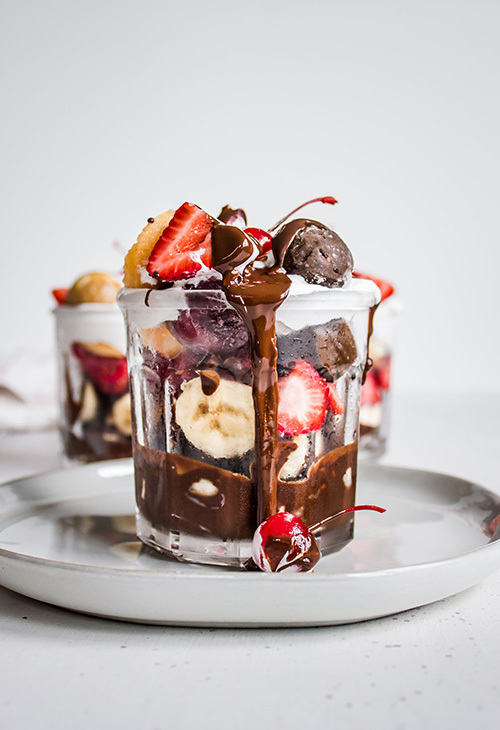 This Peanut Butter (optional) Banana Split Recipe made with your favorite perfectlyfree® non-dairy frozen bites is one you’ll certainly want to try. The classic banana split dessert we’ve come to know and love may not be vegan. But let us tell you, this vegan banana split is even BETTER. Made with ingredients that are naturally gluten-free, vegan, and lower in both sugar and calories compared to traditional ice cream – you’ll be in heaven. They are healthier and lighter, with all of the same sweetness and creaminess without any of the dairy thanks to our delicious coconut cream non-dairy ice cream bites. 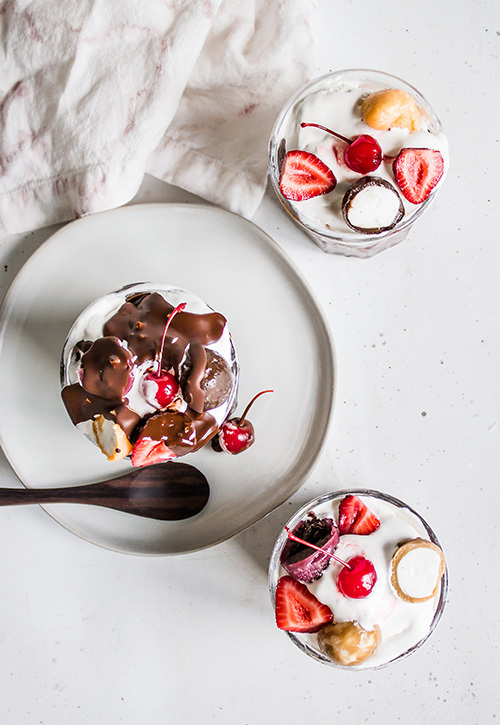 Our non-dairy frozen bites add a sweet, creamy base to these incredible dairy-free banana splits. We love that these vegan, gluten-free and top 8 allergy-friendly frozen desserts are so satisfying, and easy to create! 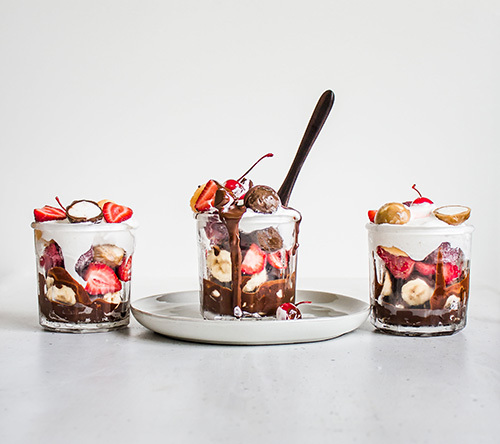 You can add peanut butter if desired for an additional treat, but it’s not necessary for these vegan banana splits if it doesn’t fit your lifestyle.